HomeBlogInventory ManagementWhy Choose Cycle Count Over Physical Counts? Why Choose Cycle Count Over Physical Counts? 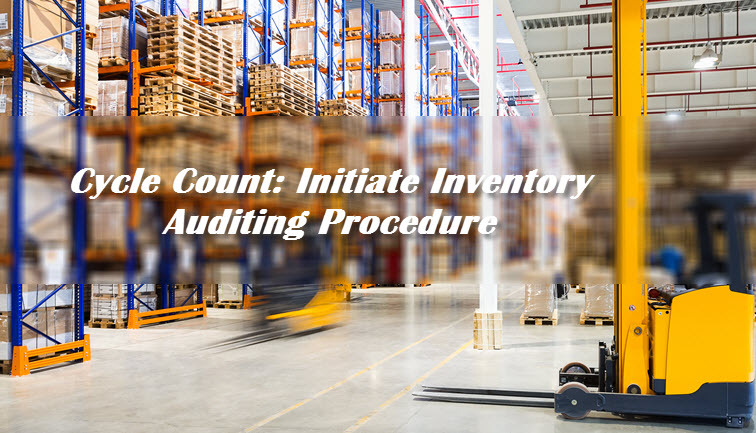 Implementing Cycle Count will reduce or eliminate the need for periodically or annually counting the physical inventories. 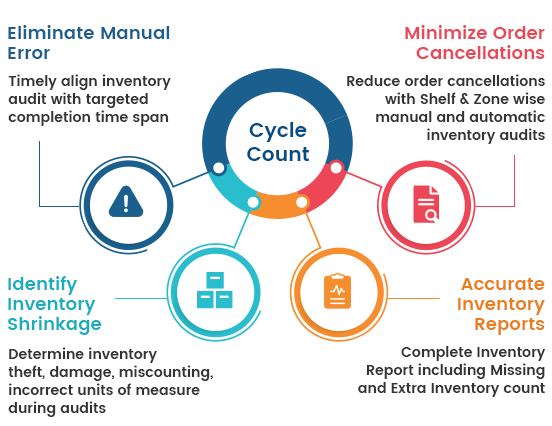 Cycle counting has now become one of the most innovative and well-developed methods of managing inventory for retailers, manufacturers, and even E-commerce sellers. It helps to improve both productivity and efficiency of your warehouse, breaking the inventory into bite-sized and manageable pieces. With the implementation of Cycle Count in a warehouse, it becomes the integral and inevitable part of your system. Cycle count affects the overall warehouse operations in many ways. Because without proper inventory control, it is difficult to make decisions about any other aspect of your business. For the warehouses which have not adopted this advanced WM feature, they need to shut down the warehouse for completing one large count, while those who have adopted Cycle Count assign a team to handle a random selection of counts every day of the year or month as required. To reconcile the missing and extra items found on different shelves. Easy and Quick: Cycle Counting is a very quick process as to ensure a better tracking, cycle count can be divided into small targets. These targets called sub-cycle counts have their individual shelves which can be added. Best practice is to implement Cycle Counting into the daily operations of the warehouse. Highly Accurate: As Cycle Count is done at the complete Warehouse level, it validates the count and location of all inventory present in the warehouse. Any discrepancy found while counting will be picked up and required actions can be taken. Cost Efficient: Cycle counting eliminates the need to shut down the warehouse and does not even require any extra staffing while in action. Inventory Accuracy: With Cycle Count your most valuable items can be counted more frequently, as and when required. This renews the physical inventory presence in the warehouse and reduces shrinkage. It also pays off in the form of better customer service because your customers will never be left waiting for an item that should have been in stock. Reducing Discrepancies: The problem with counting physical inventories annually is the lack of data being gathered throughout the rest of the year. With regular cycle counting, one can easily detect any signs of theft, shrinkage or mismanagement. It can save you money and efforts required in annual inventories. Thinking which Solution to Opt, to Implement Cycle Count? Unicommerce, No.1 E-commerce focused warehouse management solution is here with its advanced warehouse management solutions like Cycle Count, FIFO based stock picking, Handheld, Shelf-Zone based stock management. The sooner you begin cycle counting, the better! Cycle counting has changed the way companies are doing business with one warehouse at a time. This feature is one of the most efficient way of managing inventory accuracy and visibility in warehouses of all shapes and sizes. The companies investing in cycle counting or any warehouse management system, end up earning big returns in the form of reduced shrinkage and better customer service. Working as Marketing Associate with India's leading online platform, Unicommerce, supporting ecommerce sellers to process orders and manage inventory online.